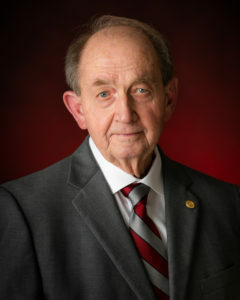 Davis joined the TROY faculty in 1970 and served for many years as an assistant professor and chair of the English Department. His service to the University didn’t stop there. As he admits, he “wore many hats” during his time at TROY. 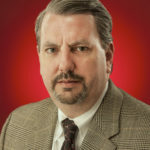 Davis also served as director of the University’s general studies program for a time, and spent nearly 25 years as the faculty representative for athletics. He also served as associate provost before being promoted to provost, the position he held when he retired in 2003. Now, one of his former students, Jane Beasley, is honoring him through contributing to a scholarship in his name, the Fred B. Davis Pre-Law Scholarship. The scholarship will benefit deserving pre-law students, with a preference for English majors at the Troy Campus. Many years later, Davis would also assist Beasley in establishing a scholarship in memory of her mother, Marion Horne Beasley. Davis said being recognized in a way that is beneficial to current and future students was humbling. With the decrease of state support and the increasing costs of tuition, Davis said it was important to the life of the University to continue to make scholarship opportunities available to deserving students. Davis said TROY has a history of affordability and financial aid opportunities such as endowed scholarships play an important role in maintaining quality and affordability in a climate of sky-rocketing student debt.